GUIDING INNOVATION FORWARD ARROW ECS is an information Technology distributor specializing in providing end-to-end IT infrastructure solutions including enterprise software, network security and wan optimization. Our goal is to facilitate new business models, and offer solutions, tools and resources for the dynamic transformation of your business. 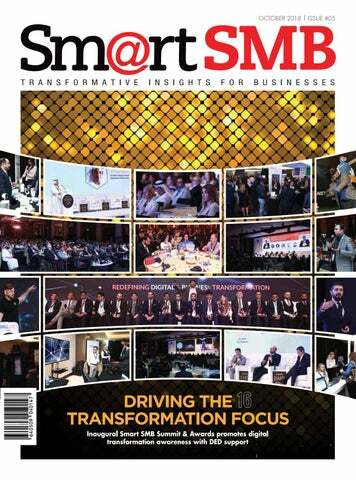 he inaugural Smart SMB Summit held on the 26th of September at the JW Marriott Marquis was a resounding success in terms of attendance from mid-market companies. The takeaway message therefore seems to be that the mid-market is indeed quite keen to get on board the digital transformation bandwagon. Indeed that seems the only way ahead of doing business. From chatboats in your customer service to employing Robots to assist, from drill down real time insights via data analytics to moving workloads to the cloud with confidence, the shift unfolding is massive. The options are many for Businesses to digitally enable or transform at least some aspects of their Business processes. Some could suggest that there is more hype than what is warranted and while that maybe true to an extent, there is also the additional fear that you may just be adding capabilities that the company never needs to use, at least in the foreseeable future. Therefore, adoption of new technologies must need to be done with due diligence. What is certain is that at a given point in time, companies need to review their IT infrastructure, and if feasible move away from old technologies they may be using, which is in all likelihood slowing down productivity, towards cloud based deployments that takes away the CAPEX costs. They could possibly look at the most impressive technologies that could plug into their customer facing modules and bring a substantial change of performance. There is a growing breed of cloud services providers in the region. It might be possibly a good idea to explore if they offer solutions that can be a good fit for your Business. What better place than GITEX to have your conversations with Technology companies and their partners and have a better understanding of the solutions you need? 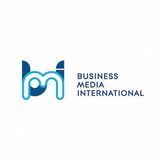 Disclaimer: While every effort has been made to validate the accuracy of all information included in the magazine, the publishers wouldnâ&#x20AC;&#x2122;t be liable for any errors therein Copyright@2018 Business Media International LLC. All rights reserved. represent, it is important for all the industries that make an impact on this transformation, to become more cost-effective, agile and disruptive. Civil drones will help this region to excel by introducing drone applications to collect valuable data, make measured decisions, capitalize on data automation and imaging capabilities.” While the Middle East rapidly grows and innovates, drones will play an instrumental role in the development of multiple projects that are expected to be delivered in record times. Drones will not only support timely infrastructure developments but will allow citizens to experience their unlimited potential and benefits. According to the statement released by the Dubai Future Foundation several months ago, His Highness Sheikh Mohammed bin Rashid Al Maktoum, Vice President and Prime Minister of the UAE and Ruler of Dubai called on all Dubai Government entities to embrace disruptive innovation as a fundamental mantra of their operations and to seek ways to incorporate its methodologies in all aspects of their work when launching Dubai 10X initiative. Centurion & Co holds new edition of Centurion Blockchain investment forum Centurion & Co ahead the new edition of Centurion Blockchain investment forum in Dubai, UAE under the Patronage of His Highness Sheikh Tahnoon Bin Saeed Bin Tahnoon Al Nahyan with Chief Guest His Excellency Zulfiquar Ghadiyali CEO of Private Office of His Highness Sheikh Tahnoon Bin Saeed Bin Tahnoon Al Nahyan. Blockchain Market size is expected to grow from $210 Million in 2016 to $2,3 Billion by 2021, at a (CAGR) of 61.5% during the forecast period disrupting mainly Government, Healthcare, Real Estate, Utility Blockchain Government Transformation Services is forecasted to optimize 25 millions work hours annually empowering Global Identity and transparency, fighting crime & frauds and reducing paper foot-print. In line with UAE strategy and vision, C & Co is pioneering innovative digital, fintech and blockchain solutions in the region accelerating projects and startups and has enabled several solutions for Governments, MNOs, BFSI, retail and automotive sectors, supporting the UAE plan focusing on citizen and resident happiness, government efficiency, advanced legislation and global entrepreneurships. The forum gathered 200+ professionals, experts and investors from the 5 continents, looking to support Blockchain Initiatives and discuss major benefits, trends, analysis and challenges (Private Offices, Private Investors, Funds and Venture Capital). An Innovation Award was presented to H.E Mr Zulfiquar Ghadiyali in appreciation to his tireless efforts in promoting investment & innovation in UAE. The forum also featured 6 Projects on Blockchain coming from UK, Singapore, Germany, Switzerland, namely QIQ.Global, LiquidCash, Bitcoin Corner, ubex.com, Whyral and Sentigraph. Panelists have evaluated the above projects Where A Recognition Award has been conferred by the Jury to QIQ Global, Singapore HQ, and an Electrical Shared Mobility Ecosystem on Blockchain. 5 Panelists discussed the Open Source Funding on Blockchain by projecting an overview about the past 18 months of 4000+ ICOs launched Worldwide raising 8 billions USD where USA, UK and Russia have captured more than 30% of those projects. The event was closed by the signing of MOU between Sky Holding and Centurion to enable Blockchain Technology in Abu Dhabi. “Centurion Blockchain Investors Forum have attracted 200+ talented, experts and professional investors from USA, Europe and the Region to discuss the future of Open Source Funding on Blockchain and encourage the initiative of this transformation showcasing the benefits at all levels”, Ali Kassab said. Shoaib Al Rahimi, Vice President of the Business Park at Dubai South will hold an interactive mentor clinic session with the next generation of business leaders at GITEX Future Stars to discuss the gaps and solutions to their business needs, as well as showing them the various business solutions available at the Business Park Free Zone at Dubai South. Mohsen Ahmad, CEO of Logistics District, will be part of the panel for the ‘10x Talks: Getting Tomorrow’s Mega-Cities Working’ session, which is part of the Smart Cities Conference on October 14. The talk will explore how technologies, e-commerce and digitalization can help improve urban development and create sustainable cities that provides the right mix of jobs, opportunities and the entrepreneurial spirit of the people. Dubai South will showcase the features of The Business Park and The Logistics District, which offer ease of doing business and customer satisfaction. Dubai South will be located at Stand A3, Za’abeel Hall 4 at the Dubai World Trade Centre from October 14 to 17, 2018. Avaya to showcase AI and Biometrics Solutions Avaya is demonstrating at GITEX the integration of AI-Enhanced technologies, including biometrics and real-time sentiment analysis to its communication platforms, enabling organizations to elevate voice as a key user interface for richer, more seamless customer and employee experiences. Today businesses are being pressured to reimagine their approach to customer and employee engagement. A recent Avaya survey of more than 8,000 consumers found that over 70 percent prefer contacting customer services by phone and believe it is the most effective means of getting the best answer. “Voice remains the cornerstone of customer service, and there is a clear opportunity for its extended application to enrich customer journeys,” said Chris McGugan, Avaya senior vice president of Solutions and Technology. evolve, hence it is crucial to provide opportunities to those looking to increase their reach.”, said Najla AlMidfa, CEO of Sheraa. Rashed Ali Al Ansari, General Manager, Al Ansari Exchange, said, “The signing of this strategic agreement demonstrates our efforts to enter into fruitful partnerships that work towards enhancing the capabilities of the entrepreneurs and provide key opportunities for SMEs, especially those from the financial technology sector. We are confident that this agreement will contribute towards enhancing the financial literacy of SMEs, encouraging sustainable business growth, and supporting the efforts to enhance the business environment for entrepreneurs. “ As founding partner of the MENA Fintech Association, this collaboration continues to pave way for Sheraa to explore and increase innovation in fintech and support aspiring startups. Dell Technologies to highlight DED issues permits transformational technologies to 163 free zone seven integrated companies under one umbrella. transforming and future proofing its services to be able to cater to the evolving digital economy. DAFZA’s presence at GITEX this year highlights its ongoing commitment to leverage its advanced ICT solutions to better serve customers through more innovative business solutions and advanced digital services. The Department of Economic Development (DED) in Dubai has permitted 163 free zone companies to operate in mainland Dubai following a memorandum of understanding (MoU) signed earlier this year between DED and the Dubai Free Zones Council. The MoU sought to enable free zone entities in Dubai to expand their operations across the emirate, and strengthen Dubai’s reputation for attracting investments, promoting entrepreneurship and facilitating business development. Nearly 34,780 free zone companies in Dubai are expected to benefit from the agreement between DED and the Dubai Free Zones Council. Free zone companies in the services sector can apply for a DED permit by producing a no-objection certificate from their respective free zone authority. The service for which the DED permit is sought must not be subject to any other regulator in the emirate and the application must be submitted to DED in the prescribed format. The DED launched ‘Dubai Blockchain Business Registry’ as part of ‘Dubai Blockchain Strategy’ launched by His Highness Sheikh Hamdan bin Mohammed bin Rashid Al Maktoum, with the goal of achieving a quantum leap in the efficiency of government transactions. The project seeks to integrate business registration and licensing thereby creating an efficient and seamless experience that will further simplify the process of starting and running a business anywhere in Dubai. The Registry will be a repository of digitised business licenses and related documents and will ensure regulatory compliance across the business ecosystem in Dubai. T GITEX 2018, the focus is will be on technologies that are enabling and accelerating digital transformation. Companies in different segments of technologies will highlight what they bring to market in terms of technologies they enable Businesses to transform, internally to be more efficient and externally in providing enhanced services to their customers. Hemayun Bazaz, Regional Manager – Channel Sales, Aruba, a Hewlett Packard Enterprise company says, “In our company’s 9th appearance at GITEX, we will be exhibiting under the theme ‘Delivering better experiences through digital transformation’ and demonstrating its Mobile First Architecture - a revolutionary, next generation networking architecture for the software defined enterprise, designed to be mobile first and deliver a network that is open, secure, and autonomous.” Aruba’s focus is on enabling the smart digital workplace. The company’s approach to the smart digital workplace comprises of two fundamental pillars. These are a Mobile First Architecture and suite of Aruba products, which are purpose-built to supply the communications and sensory platform for the smart digital workplace’s technology stack; and an ecosystem approach to building out the smart digital workplace beyond the networking platform. Aruba Mobile First Architecture and ecosystem includes a single architecture for high-capacity wireless and wired networks, comprehensive policy management and segmentation of connected devices, users, and services, end-to-end Aruba 360 Secure Fabric, including AI-powered detection of threats and attacks and more the company also has an ecosystem of partners across UCC, real estate, security and safety, building IoT, technology services, and end user applications. A glance at part of Avaya plans’s for this year’s GITEX showcase reveals that the vendor is to demonstrate the first social platform for chatbots, what it believes will be a giant leap forward in customer self-service. According to a global Avaya survey of 8,000 consumers this year, 80% of people expect an immediate response from their banks, hospitals, hotels & even their governments, highlighting the need for efficient and ‘always-on’ customer service. Bots are rapidly becoming one of the most powerful means to positively impact customer service, second only to face-to-face interaction, according to Laurent Philonenko, Senior Vice President, Innovation at Avaya. a rich set of features, several of which would never be used by the mid-market customer. That would be therefore a needless investment. Further, they also have a recurring cost with a license to renew every year.” “Our products are built from ground up to meet SMB requirements but on enterprises grade hardware, that guarantees its robustness. We are adding features and benefits that are necessary for mid-market users. They are simple to use with zero touch provisioning. Hemayun concurs and elaborates, “ Yes, the digital workplace has certainly involved from the early days. Major trends – such as a changing worker demographics, mobility, IoT, consumerized technologies and intelligent buildings – are driving a global transition from traditional workplaces to a future workplace scenario that Aruba, a Hewlett Packard Enterprise company, calls the Smart Digital Workplace.” According to the Aruba’s view of the Smart Digital Workplace, it is designed to be an upgraded and more-productive work environment for employees, visitors, operators, and managers. The Smart Digital Workplace can be implemented wherever work takes place – in an office, factory, retail space, warehouse, or home. Its primary distinguishing characteristic is that it is interactive and adaptive – taking full advantage of the power of mobility and IoT – rather than fixed and passive. The Smart Digital Workplace maintains ongoing, dynamic engagements with its occupants and stakeholders. The goal of the Smart Digital Workplace is to improve the usefulness and efficiency of a business facility to each of its stakeholders. Improvement may be measured in productivity, wellness, cost of operations, security and safety . Hemayun says, “The advantages of the Smart Digital Workplace are captured in interactions we call experiences. Experiences involve the dynamic relationship between assets – people, things, or both – and the workplace environment.” In the case of Linksys, the company’s Cloud manager offers a dashboard, which can help manage multiple access points on the same network; manage multiple access point in multiple networks of the same customers plus manage multiple access points of multiple networks for multiple customers. Amanulla adds, “Managing for multiple customers is an important feature for ISPs and MSPs. There is also no recurring subscription fee for the first five years. There will be lot of firmware and feature upgrades, which will be free for the first five years.” He opines that as SMB customers would have limited finances, they would rather want to invest in developing the Business and not on IT infrastructure. Similarly, they would prefer to invest OPEX in business development, not on having IT resources. “They should not be using limited Finance in CAPEX investments; we should be enabling solutions that they can buy on subscription basis as an operation cost from service providers of MSPs. They want cost effective solutions, not bells and whistles. They want value for money solutions and in the subscription based OPEX model, the total cost of ownerships for the next five years as with our new solutions goes down by about 40-60%.” Further, Linksys has enabled an easy user interface to manage all access point with all information on a dashboard at the click of a button which is robust and secured. “We are investing in the highest security level and getting third party security audits to see if there are any issues and fix them if any. We promise 99.99% uptime. Our cloud solutions are hosted on Amazon and Azure. And we are also investing in micro servers to host these solutions because that reduces risk if something goes wrong at all as a smaller server would be easier to replicate.” Avaya envisages two scenarios for how customer and bot interactions will be handled in real time—either the original bot contacts a friended bot on the customer’s behalf and delivers the received answer, or the original bot connects the customer to a friended bot in the style of a conference call. towards achieving that goal. Events like this bridge the gap between the government and the private sector. Private sector learns about the government’s visions and plans and simultaneously it gives a chance for the government also to connect with the private sector”. Big on numbers. Bigger on opportunities. At the centre of the global tech revolution and the region’s digital transformation, GITEX Technology Week brings together the most powerful innovations influencing the future – right from AI to Smart Cities to Blockchain. BEST STRATEGIC BLUEPRINT FOR DRIVING DIGITAL TRANSFORMATION Samer Semaan, Value-Add Distribution Manager, UAE & Gulf, Dell EMC from Dell EMC was the 2nd keynote speaker of the day and in his keynote, he highlighted the various parts of transformation. These he mentioned are digital transformation, IT transformation, workforce transformation and security transformation. He highlighted the role of data as critical asset across each of these and the need to leverage insights from data across as key requirements for better decision making in business and creating better products and services. The data he mentioned was delivered by the IT infrastructure and therefore the need to have agile and scalable infrastructure that automated the data collection and which in turn is leveraged for digital transformation insights. The flexibility for the workforce to access data and leverage the insights from anywhere should be one of the key requirements of the transformation journey. This improves the workforce efficiencies.Since data has value, transformation initiatives must address the need to ensure data is secured and continuously adheres to regulatory compliance. Samer opined that it was key to look at buying solutions where the security is embedded in the server, in the network, in storage, in client devices so that they complement each other and communicate better with each other. BUSINESS TRANSFORMATION WITH BIOIMPLANTS Jowan Österlund, Founder & CEO, Biohax International’s session on bioimplants fascinated attendees for the sheer novelty of the concept; bioimplants indeed seem to be the pinnacle of digital transformation, as in Technology coming into the body. The cyborg era is indeed here as Jowan introduced Biohax, a passive near field communications device inserted by certified biohackers. It does not contain a battery, tracking systems or any GPS enablements. The Biohax install enables the carrier to increase their security in the digital world, provide 100% identification clearance, and unlimited seamless experiences with their connected surroundings. The opportunities are endless and offers greater convenience as everything can be done with a microchip. The presentation raised queries about security concerns and hacking. The segment maybe in its early days but is gathering momentum. Jowan leads progress for standardization on bio-devices for the public and is involved in the relevant regulatory process and development of legislation. IS THE CLOUD TRULY A GAME CHANGER FOR THE SMB SEGMENT? Ali Shabdar, Cloud Evangelist at Zoho, a leading vendor of cloud software suite and SAAS Applications for Businesses discussed his perspectives on ‘Is the Cloud truly a game changer for the SMB segment?’ He discussed how cloud is today mainstream but it was necessary to really look what drove its growth in the first place, which we tend to overlook sometimes. He pointed out the advantages of investing in cloud suites visa-vis on premise infrastructure deployments. The huge upfront investment on infrastructure vis-a vis the easier subscription model of the cloud on a monthly basis for instance drive the verdict clearly in favor of cloud investments for organizations . Further, the cloud gives you the convenience of sending or sharing large volume of data easily, which wasn’t possible before. It gives you availability anywhere, scalability, portability etc. It helps drive better efficiencies in office productivity because of easier means to collaborate. He also pointed out that cloud is in fact more secure vis-a-vis local devices where data may be lost more easily. Information on a local client devices can be lost, if damage happens such as by spilt coffee for instance, whereas, in the cloud it remains safe. And in the age where Blockchain, Big Data, AI etc are rising, it would be foolhardy on the past of SMBs to ignore the cloud. FUTURE PROOFING YOUR BUSINESS VIA DIGITAL PLATFORMS Shant Oknayan, Regional Business Lead facebook and Instagram, MENA discusses how the Mobile has changed the way we engage digitally. He highlighted how the Mobile is the fastest growing platform in the industry ever, an overwhelming statement of its dominance. The Mobile has also changed the way we interact with the Internet, he mentioned and is definitely the preferred choice for many as there seems to have a deep connect of the user with his or her mobile. Primarily mobile first strategies and in some cases the use of mobile only to connect to the Internet are now quite common. Doing the course of the address, he also highlighted as to how the Mobile platforms seem to have evolved a new visual language -the emojis. All of these highlight how the mobile continues to rise as the form factor to work around in future proofing your digital strategies to build businesses for the future. THE SCOPE OF AR AND VR APPLICATIONS IN DIGITAL TRANSFORMATION Anshul Srivastava, CIO at Union Insurance started his keynote drawing an example from a book on the power of the sub-consious mind, relating it to VR and AR in terms of how the world is transforming in controlling the subconscious through the power of VR and AR. He cited an example to highlight how AR and VR have the ability to enhance customer experience and create new revenue streams. He talked about the disruption caused by GAFA (Google, Amazon and Facebook) to the industry. Another example given was the measure app launched by Apple to find the dimensions of a room and thereby get Ikea to recommend correct fit furniture for the room. He concluded Business need to look at building strategies using AR and VR as they are tools that are redefining the business landscape. There are other companies for instance who have sold Flats through AR ad VR. IOT AS A CATALYST OF DIGITAL TRANSFORMATION Kumar Prasoon, Group CIO, Al Safeer Group spoke about IoT in relation to Retail and how the Field Workforce can use the power of integrated data systems to help customers on the ground in a Mid Size Business with live analytics. He spoke about enterprise mobility with mobile cloud and PDT devices to enable functionalities such as scanning of barcodes, real time stock updates, generate auto purchase orders etc. He emphasized how the greater the number of PDT devices used, the greater the amount of data collected which int turn leads to better understanding of customers. Kumar further elaborated about enabling the digital supply chain with data coming in from IoT devices as well. And finally , he highlighted the need to enable SMB IOT WIFI based Fuzzy Digital Media Analytics with Core Transactional Systems and Operational Systems which enables better insights to creates better products and services. MICROSOFT 365 BUSINESS An integrated solution, bringing together the best-in-class productivity of Office 365 with advanced security and device management capabilities to help safeguard your business. Sharing his insights, Jayakumar Mohanachandran, Head of IT at Precision Group, U.A.E discussed that the manufacturing industry should and can look at digital transformation only via a modular approach. “we see a lot of advantages in integrating our shop floor with the softwares we use. this is important to get real time information which will help decision making. A manufacturer cannot go for digital transformation all at once. It can only be done in phases. But it is important to stay in the race, else the company will be left far behind the competition.” He elaborate that how his company has done is to initiate a digital transformation program and as a first step have gone in for cloud environment that sets the pace to go in for digital transformation. Thereafter, they are now ready to look at adopting IoT, AI etc in phases. Hesham El Komy, Senior Director, International Channel, Epicor elaborates that the speed with which transformation is unfolding, the first mover advantage will be huge and the advantages will be felt across the board. He also cautioned that the digital transformation advantages may not be the same for everyone and needs to be undertaken with sufficient strategic planning. “We are entering what is popularly now known as the 4th industry revolution. Businesses need to have a good understanding of what they are trying to do, where they are trying to get to and the benefits that they will get; not everyone might benefit from digital transformation in the same way at the same time. Due diligence needs to be done of how the advantage of new technologies coming into play can be leveraged before embarking on digital transformation initiatives.” Hesham further highlighted that the shift of people to more productive roles is happening in manufacturing as robots come in to fill in the menial automated functions. Dr. Mohammad Khaled, Government Expert and Futurist opined that in the midst of all the transformation initiatives, data claassificati and security will remain a key concern and needs to be addressed with vigilance. Deniz Usluoglu, PTC – IoT Sales Manager MEA opined that while digital transformation is a broad concept, IoT and VR technologies are indeed reshaping the manufacturing industry. He said that VR technologies for instance give the manufacturing companies the advantage of being able to design , simulate and analyse the usage of their products before getting to even producing a physical prototype of the product. How adopting and choosing the right cloud solutions are essential to digital transformation The panel discussion on cloud addressed some of the issues such as if a customer needs to move to cloud in a phased approach, the co-relation of being cloud enabled to digital transformation and so on. According to Ali Kassab, CEO â&#x20AC;&#x201C; Centurion & Co, cloud is key to embracing Blockchain, which can fix a lot of challenges and improve processes, certify and authenticate data to make it immutable and available for the right users, everywhere, anywhere. Giving his perspective on how cloud solutions are quite relevant to the SMB market, Deeak Verma mentioned how the cloud solutions enable an affordable consumption based experience to SME & commercial mid-market segments. These SMB companies which make up as much as 95% of all companies operating in GCC are seeing a growing awareness of OPEX vs CAPEX spends in IT consumption and that is helping fast track adoption of cloud in the segment. According to Yasser Zeineldin, CEO from eHosting DataFort, SMBs are looking at cloud as a route to enabling digital transformation. Adopting the cloud is definitely the basis for successful digital transformation as it makes available the underlying platform to successfully build new business models. This can also bring in mobile-ready customers. He believes that Managed service providers have a good opportunity in the cloud computing space as the demand rises. According to him, the risk is less with cloud vis-a-vis the CAPEX model; the cloudâ&#x20AC;&#x2122;s OPEX model of pay as you consume model is quite attractive for the mid-market segment and the customer can conserve its budgetary spend on IT hardware investments and instead focus on priority business growth avenues. Deepak also mentioned that the outlook for cloud solution providers is quite upbeat and validates their companyâ&#x20AC;&#x2122;s decision to adopt the cloud model. However, there would be challenges that need to be addressed. These concerns could include over data migration to the cloud, deciding which application to move first to the cloud and which needs to stay on premise; whether they need to have a hybrid cloud approach etc. He believes that Managed Service Providers must ready with answers and well tested services to address the demand for cloud services. Ali Shabdar, Evangelist, ZOHO reiterated the value of moving to the cloud to enable digital transformation. The flexibility and scalability of the cloud is unmatched by on premise solutions. Mohamed Gamal, IT Director, Al Zahra Hospital mentioned that for the healthcare segment, it is not easy to move to the cloud as most data is critical. However, he said they have some of their systems to the cloud. He also added cloud solution providers need to break down the issues and provide value on that basis to customers that can help accelerate cloud adoption. He said that while three years ago, not many in the healthcare industry was willing to consider the cloud to move critical systems. But that is no longer the case. In this context, Alexandar Williams, Director Future Economy, DED mentioned how DED was at the forefront driving awareness among SMB organizations as to boost their Business competence. Initiatives such as supporting the Smart SMB Summit aimed to help mid-market companies gain exposure to technologies and perspectives on digital transformation is among them. Tayfun Topkoc, Group Chief Digital Officer, Beaah discussed the role of EvoTeq, Beeah’s digital entity that is focused on digital transformation. He elaborated about SmartTrack, one of the initiatives from EvoTeq. A mobile application that follows an advanced track and trace system, Smart Track helps to significantly improve product quality, quantity and authenticity in global supply chains, pertaining to industries like healthcare, education, logistics and transportation. Smart Track works by using sophisticated barcodes which are insusceptible to tampering and counterfeiting. Mamoun Hmedan, Wego Managing Director for MENA responding to if the online space in travel was crowded, he mentioned it is the user experience that makes the difference and that needs to be the focus to stay ahead . Wego focuses on cost savings married to personalised service which can inspire greater customer loyalty – no matter how crowded the marketplace is. Wego has built and consolidated it market penetration , based on this ethos. By securely collecting and analysing traveller data, Wego is able to build and deliver solutions that meet the evolving needs of travellers. Wego also has an Insider Club Program that offers exclusive early-bird alerts on a range of travel deals from thousands of travel providers. Murtaza Manji, Director of ActionCOACH and Kaizen Consulting Group expressed concerns about the need for employees to stay relevant in their roles by reskilling as the shift is coming in quickly. Sirish Kumar, CEO Telr discussed how SMB organizations need a route to access new markets and how an online presence is key to extending their business. Telr enables SMBs to grow their businesses online. Tell makes the onboarding process completely online – and were the first in the local market to offer this. Telr has a dedicated onboarding team that works with clients through each step of the process and prioritises the need of customers to take their business live and accepting payments. According to Mohamed Roushdy, Experienced CIO , Head of Technology- Dubai Asset Management, digital transformation needs to be understood in true perspective and go beyond the buzz. he all women panel discussion saw Amanda Perry, CEO, Vitality don the role of the moderator for the discussion. She was joined on the panel by Ms. Kokila Alagh, Managing Partner KARM , Kristina Tantsyura, MD Middle East, Info-watch, Sherifa Hady, Distribution Director, HPE, and Odile Abou Mrad, Dell EMC â&#x20AC;&#x201C; Partner SE, Manager. Kristina Tantsyura, MD Middle East, Info-watch who has recently taken up her her role in the region mentioned how the cybersecurity domain is quite unusual for women and the fact that she as a woman to be heading the operations in the region, raised a few eyebrows in the market for certain. Women have faced the challenges of keeping a balance between their homes and the worklife. Kokila Alagh mentioned that from her experience, she has noted that women are better at problem solving. Kokila shared her view as to women should not be judged on the basis of gender. She cited an example of her principal Associate, a woman lawyer whom, she rated one of the best in the domain. Kokila added that her work partner is a full time mom but it doesnâ&#x20AC;&#x2122;t impact the work. She elaborated how work from home options are easier now for women who have to balance work and this has been possible because of the new technologies. So new technologies are indeed empowering women in the workplace. Throwing light on an invisible gender inequity that exists in the corporate world, Sherifa Hady opined that there are a lot women in the IT world but the more you go up, the lesser the number of women in the top leadership. Stretching that perspective, it would indeed be good to see more women CEOs emerge in the region among the top leadership. Sherifa said she wouldnâ&#x20AC;&#x2122;t call it a gender divide but it is not equal either for women. She also mentioned how she had a good gender balance in the team she headed. Odile Abou Mrad, Dell EMC â&#x20AC;&#x201C; Partner SE, Manager said, things have changed for the better in recent years. She said women leaders have a different style. women in leadership roles bring new creativity. She also added that EMC Dell have in their agenda to include women talent in the executive leadership The emphasis on maintaining gender balance in team compositions was underlined during the forum. Overall, the consensus was that women executives are faring better than before but they yet have a long way to go. However, the emergence of new digital technologies has made it a lot easier for women to explore options of work from home and be effective in their roles. The grand finale to a two month exercise of finding out some of the outstanding adoption of digital transformation across verticals as well as companies that are helping drive such technology change culminated with the Awards gala at the Smart SMB Summit & Awards. The Awards ceremony, held following the landmark Smart SMB Summit, on 26th September at JW Marriott Marquis in Dubai, felicitated the winners of the inaugural Smart SMB Digital Transformation Awards. Recognition of the trailblazing work being done by companies or institutions in driving and adopting digital transformation in the region is perhaps one of the first such initiatives in the region. This first of its kind awards platform helps highlight the fact that digital transformation is gathering pace in the region as newer technologies are adopted to enhance operations and outcomes. We are honored to receive this award for Best digital transformation into all areas of a business resulting in fundamental changes to how businesses operate and how they deliver value to Patron. It was a great pleasure being part of well organized event with a great ambience. The winning entry from Delhi Private School Sharjah stood out for its comprehensive vision to leverage Technology and benefit the functioning of the school with exemplary security and benefits to the student community. The iSecure solution from DPS Sharjah is an all in one that identifies and secures through RFID and biometrics and makes all student purchases digital through an e-wallet. Mycloud, the winner is a solution that has been developed by Prologic First. It has been deployed in several hotels across the region. their recent deployments include Al Raha Beach Hotel, Mövenpick hotels, Geovora hotel and many more. This SaaS solution is designed for hoteliers and helps them improve revenues and manage hotel operations more efficiently. Our goal with mycloud was to deliver a transformational system that would disrupt the hospitality industry and show establishments that there is a better and easier way to maximise their service delivery and the resulting revenues. The Smart SMB award recognises how well the software has delivered on this aim. We are honoured to accept this latest accolade. This award confirms we are in line with the UAE vision 2021- safe and secure environment for all. With this implementation, we are saving employees’ time, allowing them to be more flexible, improving productivity, and ensuring security at all time. Our Principal and Director, Ms Vandana Marwaha has has been actively involved throughout the process. Zoho Books Online accounting software Do accounting on the go, automate business workflows for clients, and file their VAT returns with Zoho Books. Al Safeer Group was recognized for the Retail Smart Digital Analytics Solution that is being used by this well known retailer for unearthing Customer Centric valuable information from their retail systems and get granular insights to let the company make the best business decisions, that helps have premier quality and process efficiency and enable higher levels of customer satisfaction. Al Safeer Group works on a strong Corporate Governance Model in tandem with a Business Value Centric Digital Transformation Strategy. I personally feel, SMARTSMB Retail Digital Transformation Leadership Award is a proud honor and a major milestone accomplishment for our overall progressive growth strategy. The winner of the Best Digital Transformation Deployment in Manufacturing is a company that specializes in the design and manufacture of high-performance industrial and automotive thermal products, and they are widely recognized as a leader in this industry in the Middle East. The implementation of Epicor ERP at this manufacturer has helped every department realize significant improvements. I would like to thank Sm@rt SMB for recognizing our commitment to leveraging technology to digitally transform our business, and deploy best industry practices, particularly on our manufacturing floor. I would also like to thank the Epicor & Dolphin team for their continued support throughout the journey. It was really a privilege and pride to be a part of an amazing event organized by Smart SMB group. Identifying A Masah group for the best digital transformation project execution in BFSI sector is an honor and recognition for me in person and for the entire team as well. Wishing Smart SMB group all the very best in all future endeavors. – Ashith Piriyattiath Group Head- Information Technology Al Masah Capital Management Ltd.
Best Digital Transformation Deployment in Travel Wego, the winning entry is a leading travel search website and among the top ranked mobile apps for travellers living in the Asia Pacific and Middle East regions. Wego harnesses powerful yet simple to use technology that automates the process of searching and comparing results from hundreds of airline, hotel and online travel agency websites. This award is a huge win for each one of us, at Wego. Such recognition only goes to further validate the fact that Wego really is making a difference in the region. It is also encouraging for our global team to be appreciated for all their work on the Middle Eastern market - which has been (and continues to be) the main focus for all of our teams. APLA, the winner of the category Blockchain Solutions Provider of the Year, is a company that provides an original blockchain platform built specifically for developing enterprise solutions and delivering compliant blockchain systems for governments and organizations. It offers a complete enterprise grade platform for delivering digital ecosystems, and includes a set of unique features that set it apart. WannaGo Cloud , the winner of the category Cloud Computing Solutions Provider of the Year is a company focused purely on offering cloud software services and aims to offer an affordable and seamless cloud adoption experience to SME & commercial mid-market segments. WannaGo mirrors the ongoing definitive shift in IT consumption models from on-premises to cloud based models. When you dream high, aspire to win! This is a recognition of the 18 months of relentless efforts of internal and external transformation that we have undertaken as a company. All credit to the efforts of the team at WannaGo for this recognition as Cloud Computing Solutions Computing Provider of the Year by Smart SMB. It is an incredible honour to be recognized for our approach in developing custom blockchain solutions and rapid application development at the 2018 Smart SMB Summit & Awards. At Apla, we will continue to offer our clients complete enterprise-grade solutions by actively partnering with system integrators and companies focused on emerging technologies. Redington Value It is a honor to be recognized as the Cloud VAD of the Year at the Smart SMB Awards. We see this as further validation of the market’s recognition for our efforts to create a true value differentiation in the services we offer our partners. Our cloud practice, which is now into its fourth year, has been a significant milestone in our transformation journey towards becoming an end to end services aggregator for the ICT channel. Arrow, the winner of the category VAD of the Year with Best Digital Transformation Initiatives is a company that has been brining a comprehensive rage of solutions along with best of breed business consulting and channel enablement services to the world’s leading technology manufacturers and their channel partners. We are delighted to with this recogition. Thanks to Smart SMB for staging such a wonderful platform for us to learn from best practices, discuss innovative ways forward and celebrate success with some of the industry best talent. We look forward to teaming with our solution providers and technology suppliers to guide innovation forward for our customers. Regional VAD of the Year in Mid-Market/SMB Segments EXCLUSIVE NETWORKS , the winner of the category is a company that chooses to redefine distribution and accelerate market entry and growth for innovative cybersecurity, networking and infrastructure technologies, making it an ideal go-to choice for market leading technologies and reseller partners. I was impressed to see a houseful session with leading experts not just attending but also participating as panelists at Smart SMB’s first summit. It was an honor for Exclusive Networks to receive the ‘Best Regional VAD Of The Year’ award for SMB at the Smart SMB Awards. This recognition endorses our team’s commitment to the channel & motivates us to work harder. The winner of the category is PTC, a company whose technology helps companies to quickly unlock the value now being created at the convergence of the physical and digital worlds through the IoT, augmented reality, 3D printing, digital twin, and Industry 4.0. PTC has been named a leader in the Industrial IoT software platforms market for its ThingWorx Industrial Innovation Platform, according to a new evaluation from Forrester Research. ThingWorx is the centerpiece of PTC’s Industrial Internet of Things technology portfolio, and it exemplifies PTC’s commitment to IIoT innovation. ThingWorx is comprised of a rapid application development platform, connectivity, machine learning capabilities, augmented reality, and integration with leading device clouds. The winner of the category ‘Blockchain Solutions Vendor of the Year’ is a company whose systematic approach to digital innovation can help SMB customers to build state-of-the art applications with blockchain capabilities. The company’s customers can also integrate blockchain with other technologies – such as analytics, Big Data, machine learning, and an IoT. Cloud Computing Solutions Vendor of the Year The winner is a company that is an industry leader in cloud IT infrastructure and offers cloud platforms, cloud-enabled infrastructure, consumption models and services, all in one place. Dell EMC offers best-of-breed, preengineered solutions to provide a variety of multi-cloud platforms and reference architectures. Winning Blockchain Vendor of the Year is a major milestone for SAP, recognizing the depth of our Leonardo digital innovation system and the breadth of our Middle East deployments and channel partner enablement. SAP and our Co-Innovation Lab in the UAE are committed to driving nextgeneration innovations that can enable the Middle East SMBs. Dell EMC is honored to be recognized as the cloud computing vendor of the year at the Smart SMB Awards. Our cloud solutions portfolio is quite extensive that is also complimented by a complete virtualization strategy, which helps us deliver unmatched value propositions to our customers in the region. SonicWall, the winner of the category ‘Security Transformation Vendor of the Year’ is a company that has been among the leaders in the network security space for past two decades. Enhanced with 12 new products and solution updates, the SonicWall Capture Cloud Platform — expanded for mid-tier enterprises — now delivers integrated cloud-scale management. We thank SmartSMB for recognizing us and we are very excited to be awarded in the category of ‘Security Transformation Vendor of the Year’, this accolade is a testament to our vision to provide Automated Realtime Breach Detection and Prevention system to protect our customers networks round the clock. D-Link, the winner of Best Commitment to SMB/Mid-Market Segments is a company that offers a broad product range to cater to every channel segment in the market from consumer, SOHO, SMB, mid-market or enterprise, a comprehensive Partner Programme, to roll out training programmes, pre- and post-sales support. We are quite happy to receive this recognition at the Smart SMB Summit & Awards, which has been of the best SMB focused events to date in the region. The recognition acknowledges our focus in the SMB segment where we have a good range of solutions and have been one of the earliest to recognize the potential of the SMB segment in this market. Networking Transformation Vendor of the Year The winner is a company that has been a powerhouse in networking technologies and has been reinventing itself to keep pace with the transformations. The company’s biggest innovation is delivering a new era of networking with a more intelligent, secure platform for customers to maximize the digital opportunities. We are honored to receive the Smart SMB award in the network transformation vendor category. This award recognizes Cisco’s biggest innovation - our intent-based networking (IBN), which is delivering a new era of networking with a more intelligent, secure platform for customers to maximize the digital opportunities. – Shukri Eid Managing Director – East Region, Cisco ME. Aruba, the winner of the ‘Digital Workplace Vendor of the Year’ is a leading provider of next-generation network access solutions for the mobile enterprise. The company’s Mobile Virtual Enterprise (MOVE) architecture unifies wired and wireless network infrastructures into one seamless access solution for corporate headquarters, mobile business professionals, remote workers and guests. We are honoured to be awarded the ‘Digital Workplace Vendor of the Year’ by Smart SMB that recognizes our market leading solutions and our efforts to help SMB companies realize their digital transformation aspirations. A proud moment for me to receive the CEO of the Year recognition at the Smart SMB Awards under the patronage of DED. This comes as a reward to our continuous efforts as Centurion & Co in enabling Blockchain and Digital Transformation in the SMB sector supporting the UAE plan that focuses on citizen and resident happiness, government efficiency and more. Many thanks to SMART SMB Summit and Awards for honoring me with the CIO of the Year Award 2018. This accomplishment is a significant recognition for our endeavor to embark upon end-to-end Digital Transformation from Supply Chain to Warehousing to FMCG Processing Unit Accounting to Distribution based on the tenet of Customer Centricity. Group Chief Digital Officer, Beaah I am very proud to receive this award, which is a proof of recognition of our efforts in making Beeah as the most digitally innovative company in the region. Smart technologies are increasingly being used to make better use of resources, and at Bee’ah, we are encouraging the use of digital platforms to streamline services, whilst revolutionising the way we serve our customers. The award goes to someone who is a thought leader in digital transformation, cyber security , enterprise Risk management and so on.In his role, he is respondible for the overall information security program and digital transformation initiatives. Excited to receive the ‘CISO of the Year’ recognition at the Smart SMB Awards. With the rapid growth and adoption of digital transformation, cyber security has become more significant, particularly in the healthcare domain. The need of the hour is a cybersecurity strategy which aligns with business objectives and focuses on business enablement. Easy Set-Up Services for SMB DED won this recognition for its exemplary services to set up and transact business in Dubai. It continues to bring in a suite of best of class services to benefit Businesses and supports the structural transformation of Dubai into a diversified, innovative service-based economy that aims to improve the business environment and accelerate productivity growth. DED is pleased to be recognized for its effort and initiatives to help SMB businesses start and grow easily; we will continuously improve our service offerings to ensure customer happiness. The awards goes to a company that offers several path breaking services using drones in the region. These include stunning aerial photography, 3D mapping, aerial survey, and inspection, or any other aerial service, with each solution uniquely tailored to their clients to help them to achieve their innovative excellence. A great honour winning Drones Solution provider of the year, it shows that we are achieving our goal of being the market leader in our domain. Being recognised for it brings great joy to our team and motivates us to keep improving. This honor went to ATLAB, one of the leading companies in the region that has been innovative in providing solutions to educational institutions and Businesses, based on new emerging technologies such as Robotics. ATLAB is building and enhancing its portfolio of solutions in imparting Coding and Robotics skills, which is considered as second language of 21st century. Most Innovative Product of the Year The recognition goes to a product Techbin that redefines waste bins with technology and helps manage waste management in real time. The sensors installed on the bins alert the operators once they are full. Techbins have a capacity to accommodate 190 cubic metres of wet and dry waste. It is a product from Asian Gallant, startup establishment located out of Mumbai. We are honored to be recognized as the Robotics Solution Provider of the Year at the Smart SMB Summit & Awards. Indeed, it is a testimony to the path breaking initiatives we are brining in with our focus on new technologies such as Robotics and enabling them for deployments in different industries. The Smart SMB Summit was a very well organized event, with insights from some outstanding speakers and a great platform for a start-up like us to showcase our innovation. We truly appreciate the recognition that that the award gives us as “innovative Product of the Year’. Techbin is a unique concept that is redefining waste management enabled by smart technologies and is. The recognition goes to BIOHAX, a Sweden based company that is offering pioneering solutions in bio chip implements that can be a single access to your identities and digital assets. Thank you so much for awarding me with the editor’s choice award as “Best Biochip Solution provider” I look forward to the time when Biohax is a common solution to replace the wallet and the keychain to make digital interactions and transactions safer and more convenient via our blockchain powered platform. Biohax is a passive near field communications device inserted by certified biohackers. It does not contain a battery, tracking systems or any GPS enablements. Digital Innovations in Client Services TELR, the winner of Digital Innovations in Client Services is a company that provides a fullstack, feature-rich payments solution online and provides ease of integration for mid-market customers. While the company continuously works to ease the onboarding and integration processes for its clients, it is also seeking to make the experience even more seamless and rapid. This award is fantastic recognition for the work that Telr has been doing towards creating a frictionless experience for our clients. It’s an initiative that the whole company has involvement in, and so the award is one that all of us on the Telr team are particularly proud of. TRANSFORMING EDUCATION Fadi Abdul Khalek, Vice President, Strategic Partnerships and Efficacy, Pearson Education shares insights into the skills needed to be employable in 2030 While it is impossible to specifically describe the kind of jobs that will be available in the next decade or so, recent data from various studies indicates that 40%-60% of the jobs of 2030 are not even invented yet. Therefore, at this stage, one can highlight two things: 1) the kind of skill sets that would be required to adequately perform future jobs and 2) the general trends within wider areas of the industry rather than specific jobs. In terms of skill sets, research puts complex problem solving, critical thinking, emotional intelligence and people management among the top 10 skills needed. In terms of industries, I would put jobs related to the fields of Artificial Intelligence (AI) and data analytics, robotics and genetic engineering among the fastest growing technical skills needed within the job market of the future. The application of these technical skills can be in many different growing fields such as medicine, agriculture, transportation, logistics and more. clarity, dilemma flipping, constructive depolarization and conflict management, rapid prototyping and immersive learning and adapting capabilities. Dubai 10X – a Dubai Future Foundation initiative to take Dubai ten years into the future – in just two years. Meaning ‘traveller’ in Arabic, the message of Rahhal is simple: the world is a classroom, and all learning counts. Rahhal provides a creative and innovative option to mainstream education – an alternative that brings out the best from within the community and recognises learning wherever it occurs. It is a platform that helps integrate learning with life, and life with learning. UAE is aiming to be the hub for many of those future jobs we discussed earlier, and government initiatives – from smart government to hyperloop, Dubai 10X and AI projects – are very encouraging in that respect. The need to upskill workers to be able to handle such new jobs and the increasing demand within the job market means pressure on the learning apparatus that traditional learning supply is not able to cope with. E-Learning is slowly being acknowledged as the most viable and convenient solution to correct the imbalance between supply and demand. The good thing about the post graduate and the adult learning landscape is that it is reasonably flexible. Also, in adult education, the private sector plays a much more substantial role which makes adapting to new ways of learning (including eLearning and blended learning) much faster. UAE has one of the best technology and telecom infrastructures in the region. Application of AI and immersive technology in education is slowly taking shape and regulations around eLearning are being introduced. Private companies, especially those related to education and Edtech, are also starting to play their fair share of the game and are making more investments and taking concrete and courageous steps in the right direction. There is scope for much more and we look forward to changes for the better. Critical for companies to nurture talent In today’s changing business environment, it is imperative for candidates to continuously learn new skills. For example, 90% of marketers already report suffering from a shortage of digital skills, and only 8% of surveyed companies feel strong in the area of digital marketing (whitepaper by Grovo). And in a study conducted by Bullhorn, 64% of recruiters reported a shortage of skilled candidates for available marketing roles. new jobs of the future are increasingly talent focused. Even with robotics’ advancement, it is argued that the emphasis is more on the kind of talent around the machine than the machine itself. - Talent is becoming a rare ‘commodity’. It is hard to come by and high-quality talent is in great demand. It is much more cost effective for any company to invest in existing talent and nurture it rather than hunt for new talent. All models in the DWL Series support MU-MIMO (Multi-User Multiple Input Multiple Output), which enables the device to simultaneously communicate with multiple clients using multiple antennas. The DWL-6620APS & DWL-7620AP feature 2 x 2 MU-MIMO, while the DWL-8620AP and DWL-8620APE support 4 x 4 MU-MIMO to take full advantage of all streams to serve more wireless clients to dramatically improve wireless performance. The DWL-6620APS features D-Link Smart antenna technology that helps to select the optimal radiation pattern for each client and uses digital beam forming to enhance the antenna gain and achieve optimal throughput. The DWL Series can be ceiling mounted or wall mounted to meet the needs of any wireless application. The DWL Series Unified AC Wave 2 Wireless Access Points leverage the full potential of 802.11ac Wave 2 to provide unparalleled connectivity with ultra-high combined data rates. •	Active Feed technology perfectly aligns pages to avoid misfeeds and multifeeds. •	Perfect Page optimizes image quality on every page for accurate information extraction. FMS Tech to Simulate Eagle Eye 2K at GITEX The FMS Eagle Eye 2K consists of two smart cameras - one facing the road and the other facing the driver, which are integrated with the IVMS device. The Eagle Eye serves as your eyes while your fleets are on the move. This helps you monitor not only the status of the external environment where the vehicles are, but also its internal environment—which means, you can also see what’s happening inside the car. This will also encourage and motivate the driver to focus more on proper driving. Designed for optimum security in fleets; the FMS Eagle Eye camera system is a fourchannel digital video recorder for in-car surveillance. The video footage from the Eagle Eye also plays an important role when there is a need to investigate an accident, or if your fleet is involved in a road mishap. It would give you details on what transpired before, during, and after the accident, and help you understand why it happened. HIGHLIGHTS: •	It uses an embedded processor and operating system with 3G GSM WiFi router and the latest technology in the market today for audio and video compression and decompression, large capacity SD card recording, high intelligence and high stability. •	The in-cabin security cameras provide high quality recording, live streaming, snapshot for driver ID verification and violation recording, playback capabilities for heightened security, and wired or wireless camera options. •	The system records and stores the information on the device storage locally and also sends eventbased real-time video feed to the control room. •	Half (50%) of organisations are not available to respond to customer enquiries 24/7. •	40% of organisations say they struggle to meet the rising expectations of customer service. •	37% are challenged to answer repetitive questions in an efficient way. •	47% say AI will enable the customer service operation to become more efficient. security presents potential risk. When asked who inside their organization was responsible for IoT security, responses ranged from the CIO, CISO, CTO, and line-of-business leaders, with no majority consensus. Only 33 percent identified the CIO, with no other executive or functional group achieving response totals above 20 percent. “No Function” was the thirdhighest answer (15 percent). Survey results also highlighted the importance of visibility and the ability to define which resources people and IoT devices can access, with 63 percent of respondents stating network access control is an important element of their company’s overall security strategy and critical for reducing the reach of inside exploits. Also cited as important was having detailed information about applications (71 percent), endpoints (69 percent), cloud (64 percent), and networks (63 percent). 83<6'9; After putting the NSa 2650 through rigorous testing, NSS Labs validated SonicWall QH[WJHQHUDWLRQĆUHZDOOYDOXHDQGVHFXULW\HIIHFWLYHQHVVE\SODFLQJ6RQLF:DOOLQWKHFRYHWHG ‘Recommended’ quadrant of its 2018 NGFW Group Test.